5 Bags of Coffee Flavored Granola - After all the requests we have finally delivered a Coffee Flavor!! We took out the cranberries, added some coffee, and some other slight changes and voila, some really tasty coffee granola. 5 Delicious bags of our No Brown Sugar granola. 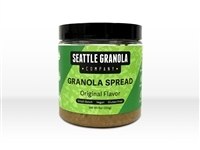 Great SGC granola taste but a little less sweet without the BS! One - 10 Lb box of our original flavor granola. This is the world's best tasting Granola, and you need to get your hands on this stuff. It is Vegan, Gluten-Free, Mostly Organic, Non-GMO, small batch, made with love by real people in Seattle, Washington, and super tasty. 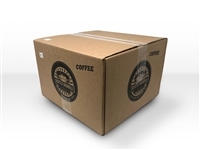 One - 10 Lb box of our coffee flavor granola. After all the requests we have finally delivered a Coffee Flavor!! We took out the cranberries, added some coffee, and some other slight changes and voila, some really tasty coffee granola.